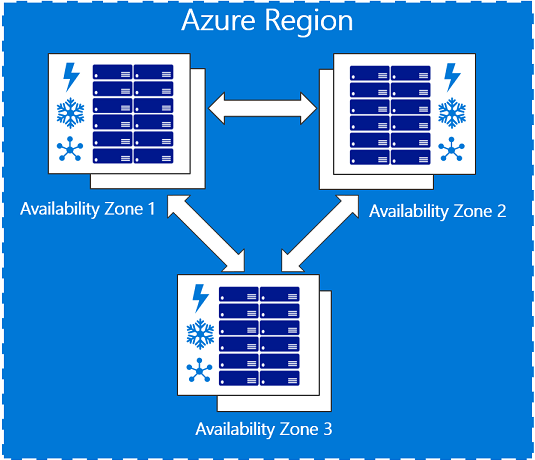 Microsoft Adds More Availability Zones. ZoneCheckr Updated to Give Cloud Admins a Single Map to Check. Amazon Web Services has a solid lead on competitors when it comes to Availability Zones or AZs. AZs are two or more data centers, connected via a high-speed private connection, within a specific region, or city. The idea is that services can have redundant capabilities in another AZ in case there is a failure, whether man-made or natural disaster. AZs are essential for a robust, reliable cloud infrastructure, and AWS has dozens of them. Microsoft got the memo, and has been adding AZs to a number of regions. While not nearly as far along as AWS, they just announced a few more regions with AZs, although some are still in “Preview” mode. From our perspective at CloudCheckr, the more AZs the better, as anything that improves the availability of cloud computing is a welcome enhancement. However, you still need to properly architect your cloud infrastructure so you don’t “put all your eggs in one basket.” It can be overwhelming trying to decide where to place your computing instances and storage, so we came up with a tool to help you visualize all of these zones and regions. ZoneCheckr.com is a free interactive map that lets you zoom in on countries and see what cloud platforms are supported where. You can view the population of a specific country and toggle on or off the major cloud vendors, namely Amazon Web Services, Microsoft Azure, Google Cloud Platform, and Oracle Cloud. You can also see which regions are “Coming Soon” and toggle those on or off. The larger the circle, the more AZs in that region. ZoneCheckr can help you make observations too. For example, it shows that Microsoft, and more recently Amazon, are both targeting South Africa and the Middle East for future regions. CloudCheckr provides cloud administrators a single pane of glass to administer cost optimization, billing and invoicing, and security and compliance. Similarly, ZoneCheckr is a single interface to compare regions supported by the major cloud vendors. Try CloudCheckr today with a free 14-day trial!